Every PC user wants to personalize their desktop with cool enhancements or add-ons, especially Windows users have zeal of organizing several apps like Calendar, Time, News Feeds, Games and others utilities. Thoosje.com is a website offering Top 25 Windows 7 gadgets pack for your desktop and its absolutely free to download and use. 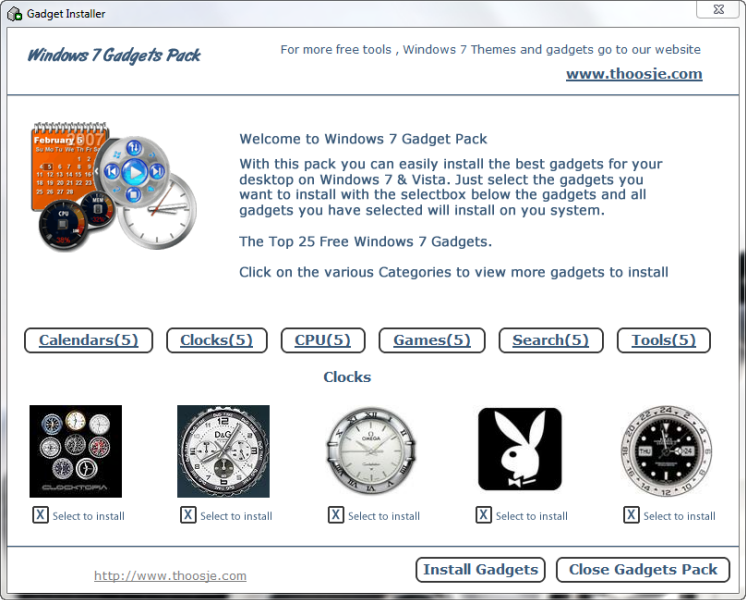 In Windows 7, there are at most 10 gadgets to utilize whereas here you get a pack of 25 which is very impressive. With just one-click you could install your favorite gadget in no time and remove it with built-in uninstaller. 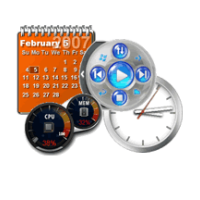 When you click on “Gadget Installer” icon, a simple interface is provided with six categories includes Calendars, Clocks, Games, CPU, Search and Tools. Each category has separate set of 5 icons with details. The “Tools” category has a battery meter, weather widget, calculator, and other basics. The “Games” include Magic 8-Ball, Tic-Tac-Toe, Pong and Atari Asteroids. Everything is ok, but most of the gadgets show non-Western text which is annoying for regular PC users.